During the 1950s, our country was besieged by a bifurcated mindset that pitted “American freedom” against the “godless” Soviet Union. A motto was just the thing we needed to set us apart. More was at stake, however, than saying our belief in God was stronger than Soviet communism. Also at work was the confluence of an economic business perspective bristling under the social welfare policies of the New Deal and conservative Christian leaders interested in pursuing their own version of nationalized religion through the implementation of restrictive laws. Strange bedfellows, indeed, since the precepts of the New Deal clearly project the Christian principles enumerated in the Gospel—care for the poor being chief among them. The Rev. 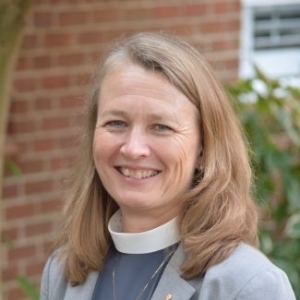 Dr. Jennifer Copeland, is executive director of the N.C. Council of Churches.